Last night in Sydney there was a chill that descended overnight. It can’t be coincidence that India lost in the Cricket World Cup semi-final last night to Australia. 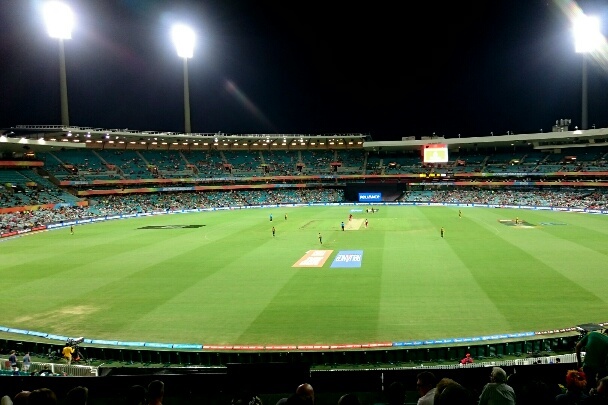 The thousands of fiery swami army fans left the SCG quite a bit cooler. Bring on Sunday. BTW – this wasn’t from last night, but from the pool match between South Africa and West Indies where de Villiers went on a rampage. Should have seen it! 63 runs in the last 4 overs.